As enterprises shift to a multi-cloud strategy, cloud management platforms provide the functionality to manage complex cloud architectures. public clouds, several private clouds or a mix of the two, and might include existing traditional systems. These complex cloud architectures are more beneficial to enterprises than single solutions because they can mix and match cloud-based resources to form and re-form solutions. This includes provisioning and deprovisioning resources, monitoring, management, and cost control. The ability to provide this functionality is what cloud management platforms do. Multi-cloud computing is exploding. A recent CompTIA survey showed that more than 90% of companies have already moved some of their processes to the cloud. Furthermore, these same companies expect to expand their IT infrastructure to include multi-cloud environments. The CompTIA report found that once businesses become comfortable with their first cloud integration project, they are likely to deploy different cloud platforms for different areas of the business, depending upon their requirements. Moreover, the report revealed that 60% of companies studied say they already use cloud services for data storage, 48% to improve business continuity and disaster recovery, and 44% say it has increased data security. 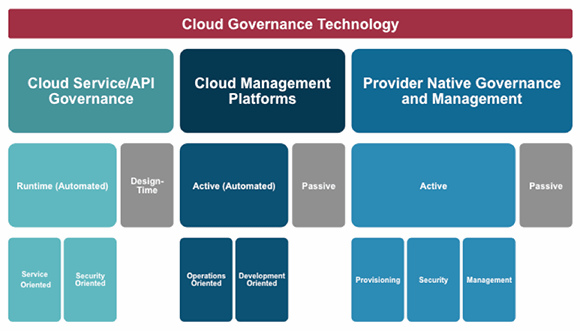 Figure 1: There are three types of cloud governance approaches and technology. Most enterprises will use all three. Cloud management platforms (CMPs) are part of cloud governance, of which there are three major types (see Figure 1). The first type of cloud governance is service-level governance, which is about application program interface management and control. These vendors include Apigee and Layer 7. The second type is native management systems from cloud providers, whichare specific to those providers. The third type is cloud management platforms, which offer more resource-level governance to control and manage such things as storage, compute, applications and development. Providers here include ServiceMesh (CSC), RightScale and Dell Enstratius. ServiceMesh, for instance, looks like the most well-rounded of all of the CMPs, offering features that work well in DevOps, operations and policy-based governance. It caught the eye of CSC, which purchased ServiceMesh a few months ago. RightScale is more operations-focused, but it has moved in some interesting directions. Last year, RightScale acquired Planforcloud.com, which specializes in analytical reports of cloud usage. While many management tools do provide some basic analytics, this tool is one of the first to combine management of multi-cloud environments with insight into how the resources are being consumed and techniques that cover how to optimize the usage. The resources you must manage, including types of public and private clouds, DevOps, compliance, cost control, etc. The focus, including operations, development, governance or all of the above. What will you need most? Interface compatibility with the cloud resources you're looking to leverage. The CMP provider must support those connections for you. The requirements should point back into the right CMP. While it's tempting to select what's popular, the right cloud management platform could differ from what you originally expected. It's also tempting to go with brands that are already in your enterprise, such as CA, IBM, Red Hat, etc. In many cases, the right technology to get to best-of-breed will come from an outsider.